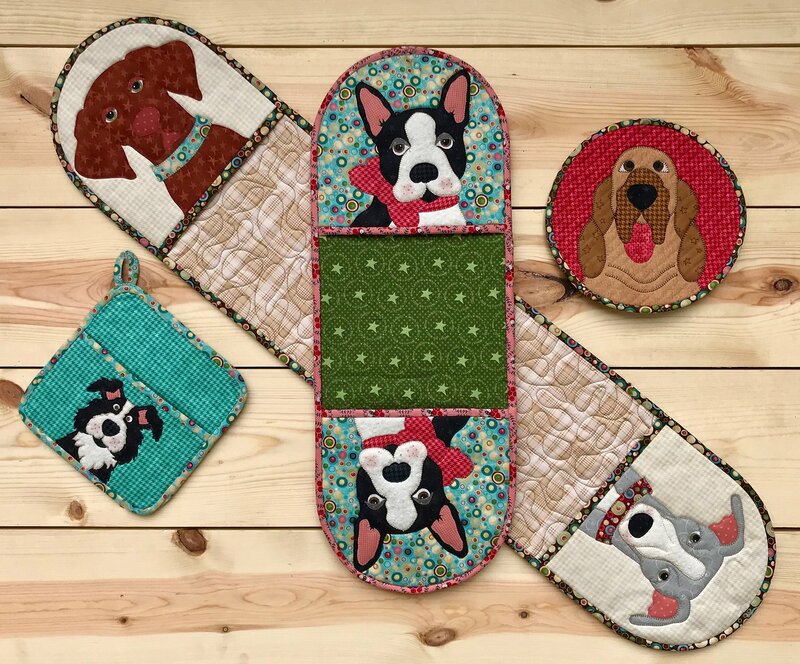 Includes instructions for hot pads that will fit our 5” and 8” appliqués. Finished size of the round is 9”. Finished size of the square is 8”. Double dog hot pads are 9” X 25” for the short version and 9” X 40” for the longer version.